Romantic double bill La Sylphide and Paquita celebrate the sheer beauty of pure ballet, providing an evening of unabashed theatrical pleasure. 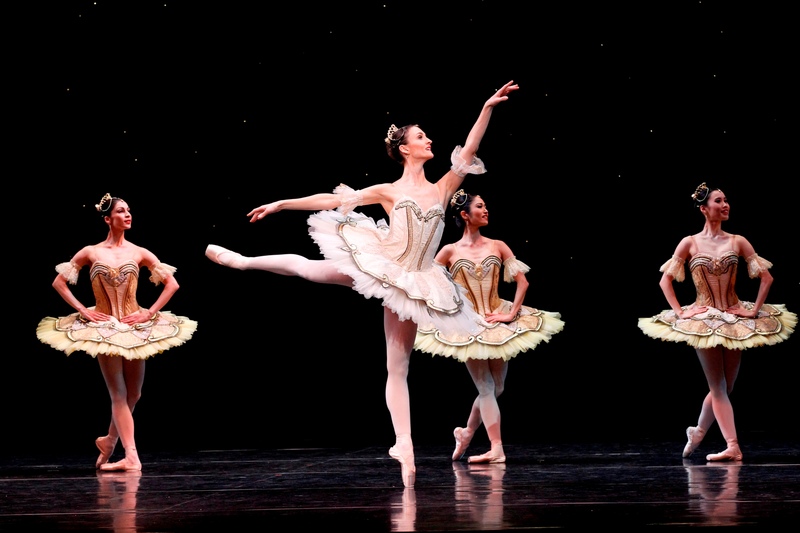 Performed in a section of the season usually reserved for a triple bill, the traditional pair of works is a treat for audiences who love the tutus and tights usually seen in the full-length works. Enhanced with a patina of gleaming gold, Paquita flows by with an air of effortless beauty. Golden stars twinkle from a midnight blue sky while a dozen or more lovely ladies of the company appear in ornate gold tutus. Choreography is by acknowledged master Marius Petipa, featuring his trademark expression and interaction of dancers as characters. Highly accomplished Principal Artist Olivia Bell may be hanging up her pointe shoes after this season, but her elegance and freshness defy this time of her career. A gorgeously tall partner for the male principals, Bell gives a memorable, effortlessly inspiring performance. 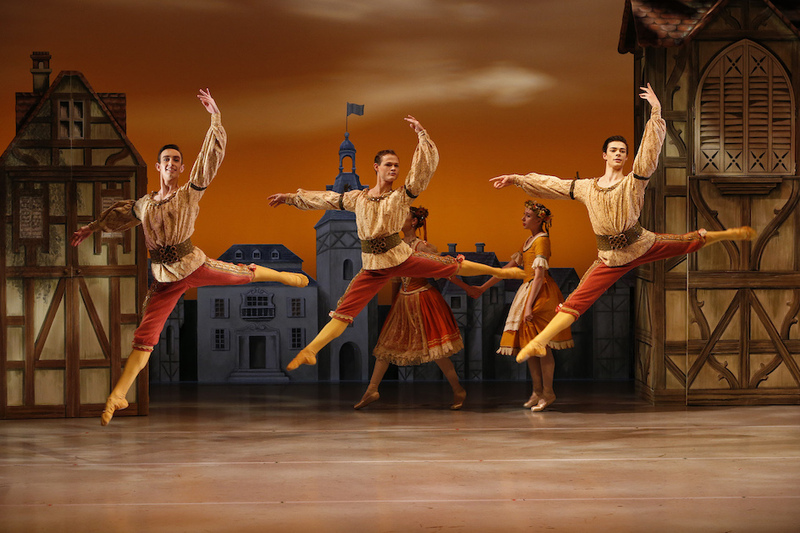 The lone male in Paquita, Adam Bull is in his element with athletic leaps and lifts that are almost too easy for his extraordinary capabilities. Bull’s elegant poise and polish are a wonderful asset for the piece. Guest conductor Philip Ellis leads Orchestra Victoria in a rousing, effervescent performance. Minkus’ music for Paquita has a driving oom-pah brass beat that creates a distinctly festive atmosphere. The mood for La Sylphide is more one of tender longing, although there is plenty of nimble playing delivered by the strings in the more sprightly moments. La Sylphide is like watching a full-length story ballet in fast forward. Under 90 minutes, including interval, the ballet flies by in a whirl of delight. There is so much storytelling that, at times, the dancers resemble silent movie stars. Handsome young Scotsman James is set to wed Effie but his fascination with The Sylph, plus the machinations of Madge the witch, derail his nuptials, leaving the bride fair game for his cousin Gurn. Another female-heavy piece, the ballet features only three men, one of whom, redoubtable character performer Colin Peasley, is playing Madge! 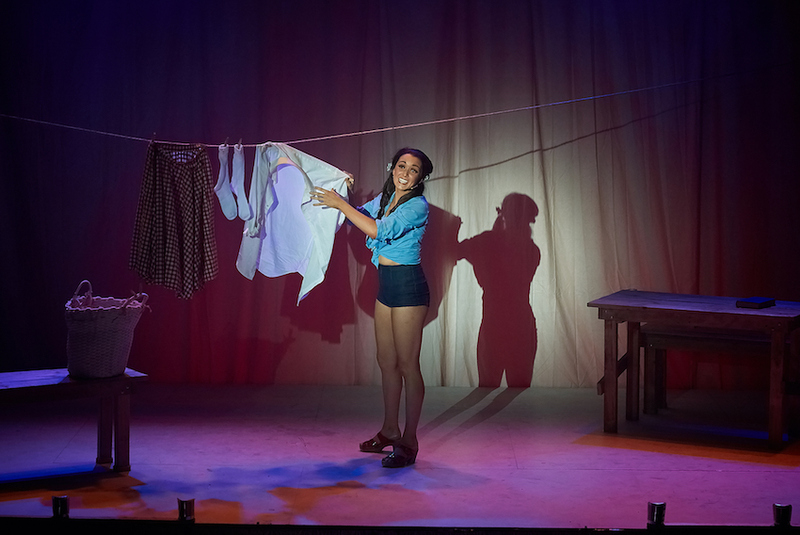 Leanne Stojmenov captures the ethereal beauty, and the cheeky playfulness, of The Sylph, her endearing performance making the ending all the more moving. Masculine Principal Kevin Jackson effectively portrays the romantic dilemma and confusion of James, effortlessly delivering the leaps and pirouettes that have his kilt spinning up around his ears. Talented Coryphée Jarryd Madden makes a highly auspicious featured role debut as cousin Gurn. Vivienne Wong is adorable as flustered fiancée Effie. The opening castle setting for La Sylphide is impressively majestic, while the forest, though hauntingly translucent, has seen better days. The Australian Ballet once again prove themselves completely devoted to providing entertainment of the highest calibre. 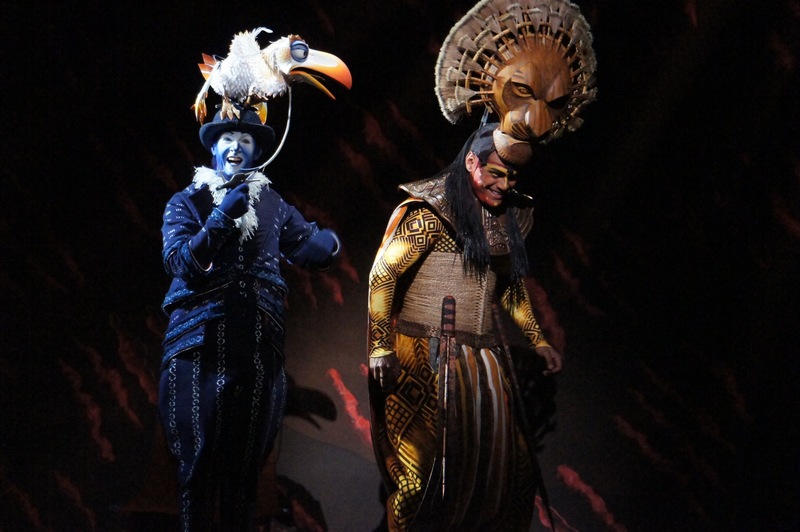 Final 2013 offering Cinderella is breathlessly anticipated. 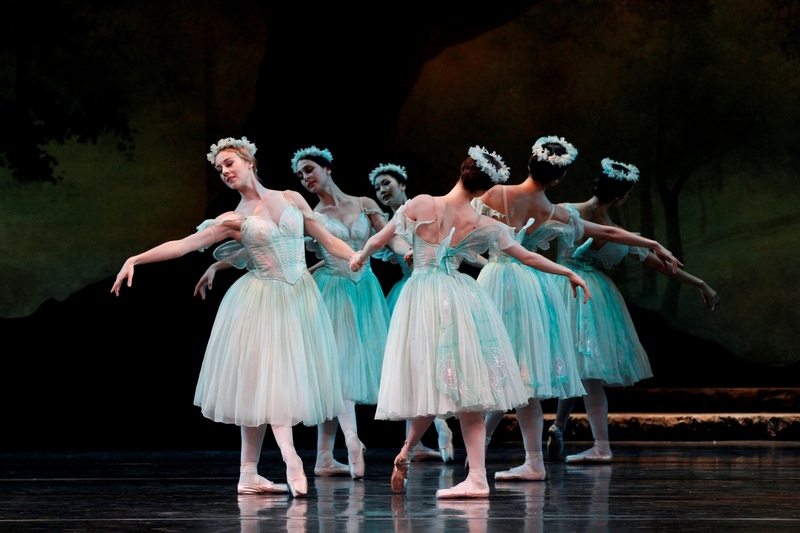 La Sylphide plays at State Theatre, Melbourne Arts Centre until 7 September 2013 before moving to Sydney in November.